This looks yummy! Going to have my kids make it, mmm! 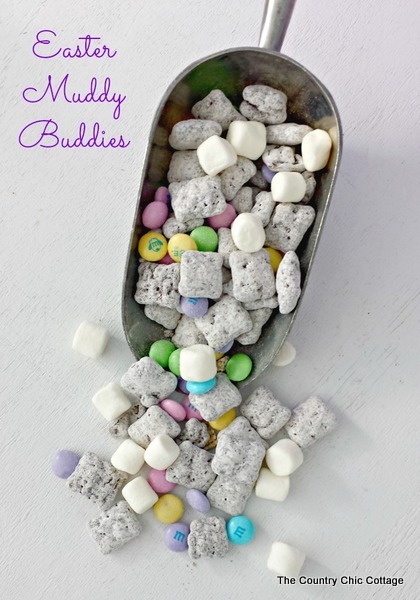 Love muddy buddies! 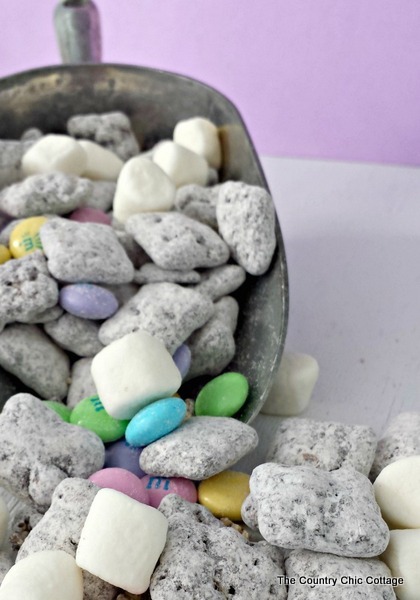 These are so cute with the Easter theme too! 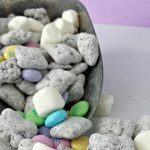 This is delicious and fun to make with the grandchildren! How much does this make? I need about 25-30 baggies for a birthday treat at school. I think one recipe would be enough! When do you put the vanilla? Once the mixture is melted. I fixed the recipe!